Get set for a fun fundraising event, in aid of Wooden Spoon, the children's charity of rugby. 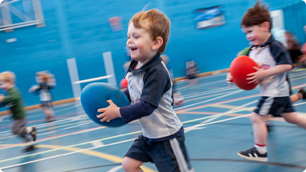 The Rugbytots Try-athlon is fun event that takes place during your child's normal class. The aim is to raise funds for Wooden Spoon by sponsoring your Rugbytot to score as many trys, kick as many goals and catch as many passes as possible in 5-minute sets. Your local franchisee will notify you of the dates for your Try-athlon and how the session will run. What can my Rugbytot win? We've a whole pile of prizes on offer for children taking part in the Try-athlon! To kick off, everyone who takes part will receive a certificate, and everyone who raises over £25 wins a mini Rugbytots ball! The Try-athlon is part of our ongoing efforts to raise money for Wooden Spoon, the children’s charity of rugby. 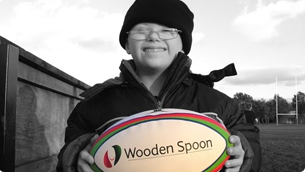 Wooden Spoon fund projects disadvantaged and disabled children. 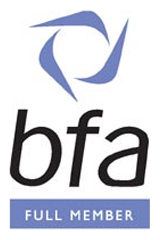 Since 1983 they have distributed in excess of £24 million, helping over 1 million young people. To raise even more funds (and celebrate our 10th Anniversary) we've also organising a bike ride from Lands End to London in August. 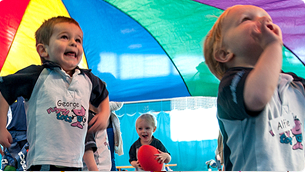 Rugbytots are old hands at tackling new challenges! Join us for our Lands End to London bike ride and you'll be in good company! We've always been passionate about using our business to benefit others. In the past we’ve raised over £200k for the NSPCC, and from 2014 we've been equally energetic in our support of Wooden Spoon, the children's charity of rugby. Our fundraising efforts have seen us tackle several big bike rides, including our 2015 World Cup Bike Ride from the Millenium Stadium in Cardiff to Twickenham, which raised over £100K for Wooden Spoon.